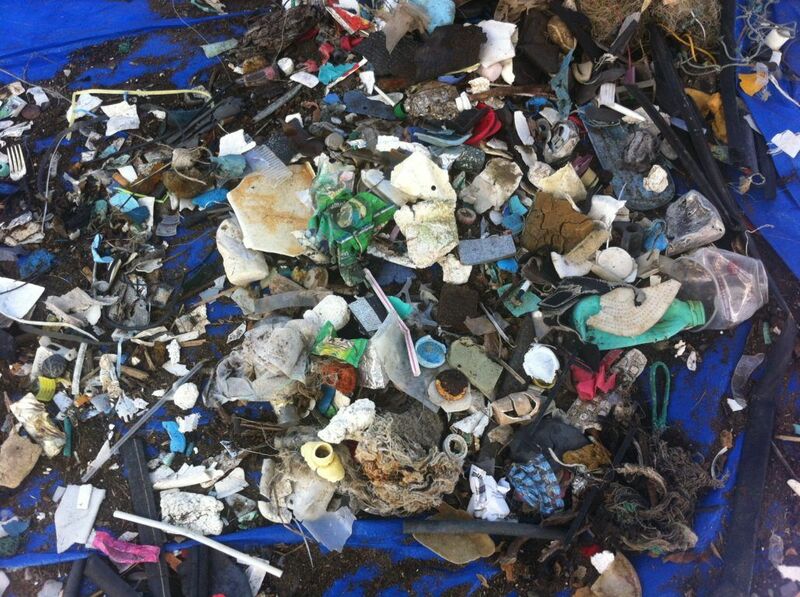 An estimated 5 TRILLION pieces of plastic are currently floating in the ocean. Reducing plastic consumption is one of the most important ways you can help save our ocean. Look around you – how much of what you see is made of plastic? There’s no doubt that plastics have revolutionized our modern way of life. They have led to important advancements in technology, science, and medicine, and have applications ranging from packaging to I-phone cases. 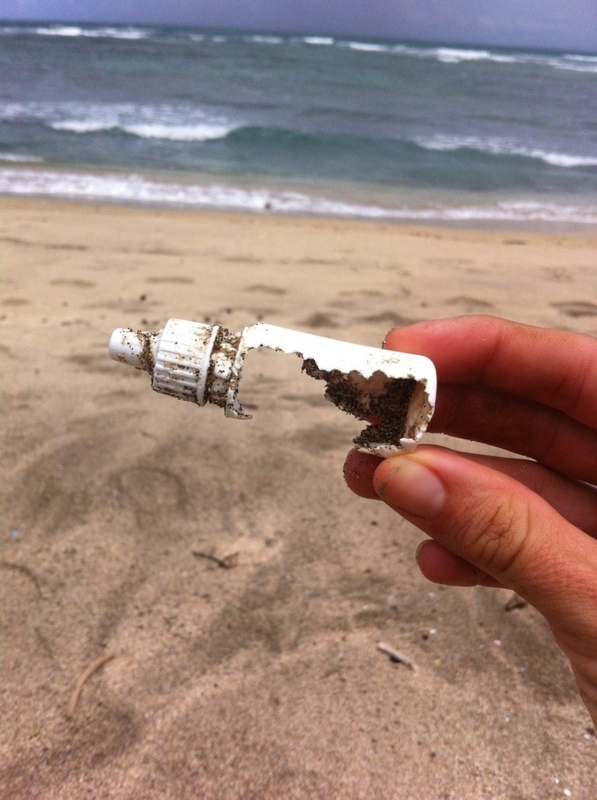 On the other hand, plastics are the most insidious type of debris found in the marine environment. Along with climate change and overfishing, they represent one of the most serious threats to our ocean. If immediate action is not taken, plastics could very well overtake our seas. Within the next 30 years, researchers estimate that the amount of plastic in the ocean will outnumber fish. The issue with plastics is centered largely around “single use” plastics – items such as straws, water bottles, cups, or take-out containers that are used only once then tossed in the trash. These plastics may end up a landfill or recycling bin, but also often find their way to streams, rivers, and storm drains that eventually empty into the ocean. By nature, plastics are extremely durable. They are created from petroleum (a nonrenewable resource) and are made to last. While this is an important quality if you’re looking for a phone charger or computer, it can spell disaster if you’re a fish or seabird. Serrated edges and puncture marks are evidence that wildlife has interacted with plastics in the ocean. Due to their strength, plastics are guaranteed to be around for pretty much forever. 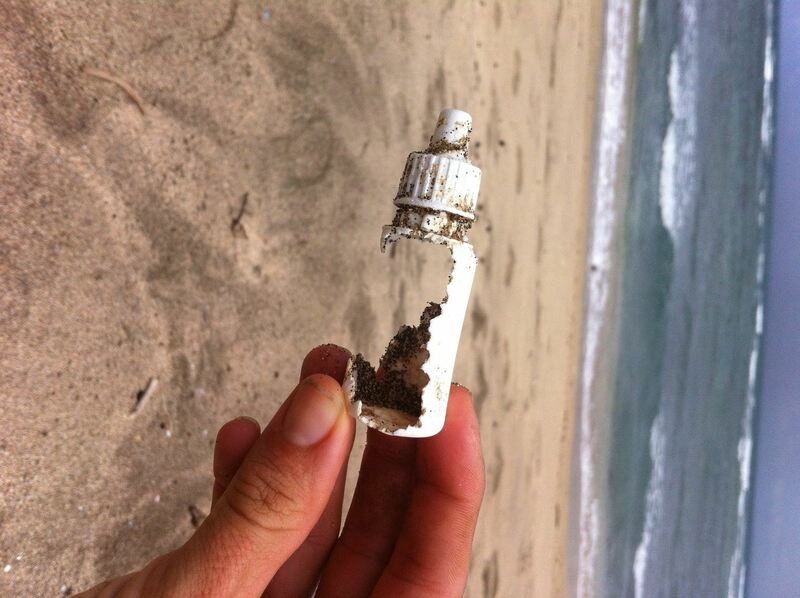 Hard plastics like bottle caps and cigarette lighters may float for years across thousands of miles of open ocean. Lighter weight plastics (like plastic bags) may break quickly into smaller fragments but are easily consumed by animals like turtles and birds and release toxic chemicals into the ocean. What many people don’t realize is that plastics never really go away – they just end up somewhere else, whether it’s a landfill or a sea turtle’s stomach. In fact, scientists estimate that all the plastics ever created are still in existence (in some form) today. Astoundingly, 8 million tons of trash are dumped into the ocean each year. Some of this trash is left behind by beachgoers, but trash can also travel down storm drains, be dumped overboard from ships, or blow out of trash cans. Once in the ocean, plastics travel on large-scale currents. These currents move millions of pieces of plastics around ocean basins and between continents. Many animals, like birds, sea turtles, and fish, mistake plastics for food. 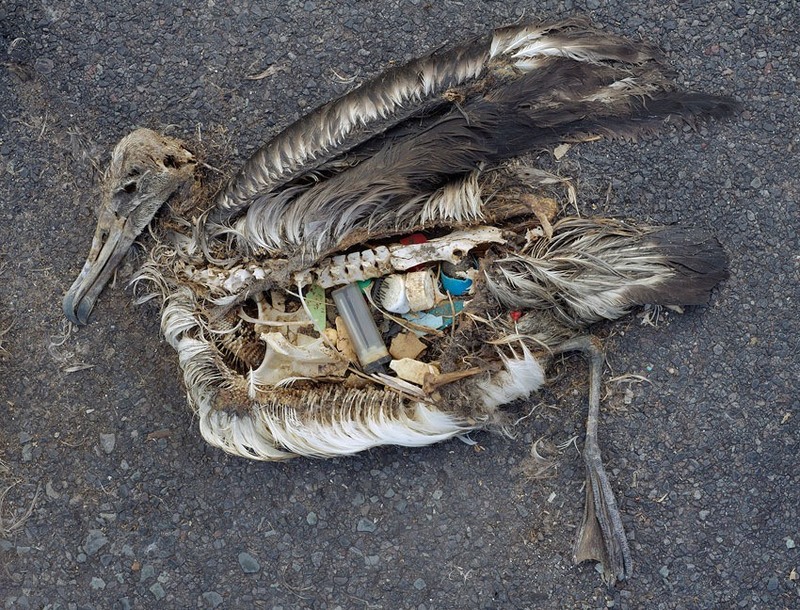 In the Northwest Hawaiian Islands, Laysan Albatross (a seabird) commonly ingest plastics that they then feed to their chicks. Plastics are unable to be digested, and instead compact in the stomach. This eventually leads to starvation and death for seabirds and other marine life. Plastics can also bind to, or release, harmful chemicals that then work their way through the oceanic food chain. Whales, dolphins, sharks, and turtles, all store these contaminants (called persistent pollutants) in their bodies. When we humans eat fish that have ingested these pollutants, we also ingest these pollutants. Say “NO” to single-use, plastic products. The first step is to identify the single-use plastics in your life. Take an inventory, and then figure out ways to replace them. Purchase a stainless steel, reusable water bottle, keep a bamboo spork in your purse, and never forget to bring your own bag when headed to the grocery store. Adopt the “4-R’s”: Refuse, Reduce, Reuse, Recycle. The most important thing is to eliminate single-use plastics from your life as much as possible by refusing to use or buy plastics and reducing your plastic consumption. If you must buy plastics, try to reuse, or purchase items that can be recycled. 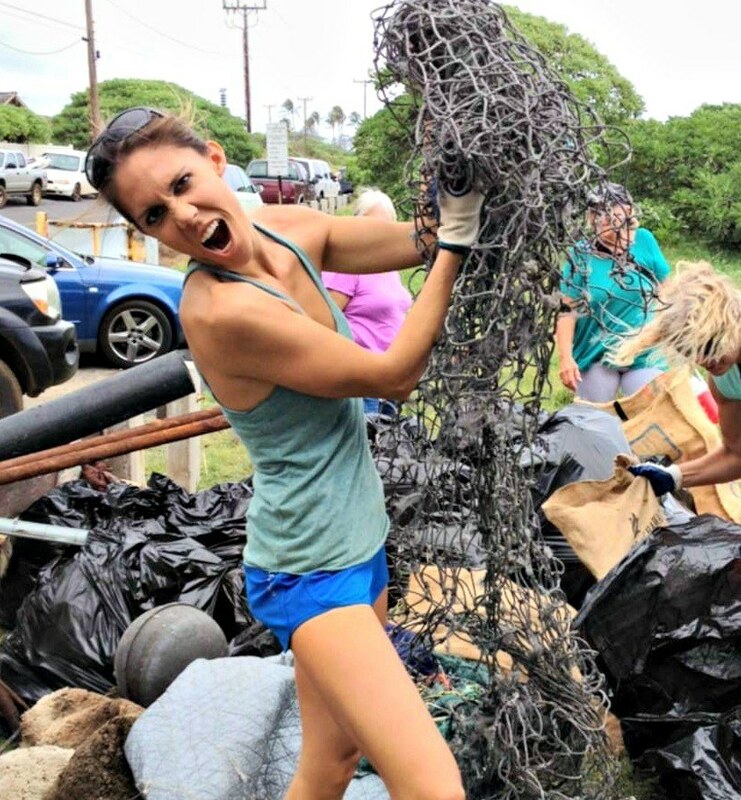 Join a beach, stream, or highway cleanup. 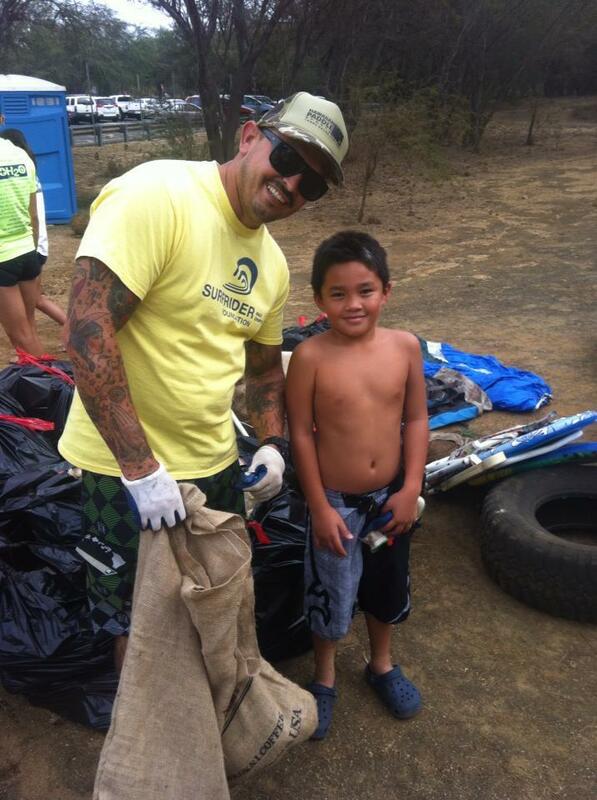 Community cleanups stop plastics before they can enter the ocean or waterways. They are also a great opportunity to educate the public and bring community members together. The ‘Rule of 3’. 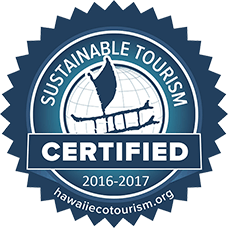 Help decrease plastic in the environment by pledging to pick up 3 pieces of trash every time you visit the beach or park. Ask Restaurants to Go ‘Plastic Free’. Styrofoam containers and single-use plastic cutlery, cups and plates are common in many restaurants. The good news is that there are many sustainable alternatives. Ask your favorite restaurant to replace single-use plastics with re-usable or plant-based items. Support local “plastic free” policies. Cities, states, and even countries are passing laws to limit single-use plastics. Hawaii and California have both passed legislation banning single-use plastic bags. Talk to your local lawmakers and work to make your city plastic free. Educate your friends and family. When it comes to change, education is key. Many people don’t realize how plastics are negatively impacting our environment and health. The more individuals that pledge to be plastic free, the happier our seas will be. Saving our oceans starts with YOU. Never forget, mermaids make ripples that grow into waves!